Hidden in plain sight... Former Marine sniper and current NSA agent Jack Stone has a new face to go with his new identity. But he still has the same tortured memories--which include the woman he let get away years ago, when they were teenagers. Now his new assignment in Miami will put him so close to the woman he's never been able to forget, he could reach out and touch her--if only she weren't under suspicion. When Sophie Moreno uncovers evidence linking the medical supply company she works for with arms smuggling--and worse--she doesn't know who to turn to. After a shocking betrayal, she realizes the only person she can trust is a mysterious new person in the company--a man with hauntingly familiar eyes. 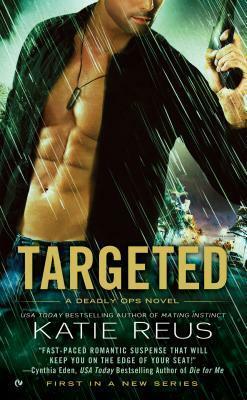 As Sophie questions her intense attraction to this man and Jack struggles not to blow his cover, the two of them must race against the clock to stop terrorists from killing scores of people--starting with them. FIRST IN A NEW SERIES!